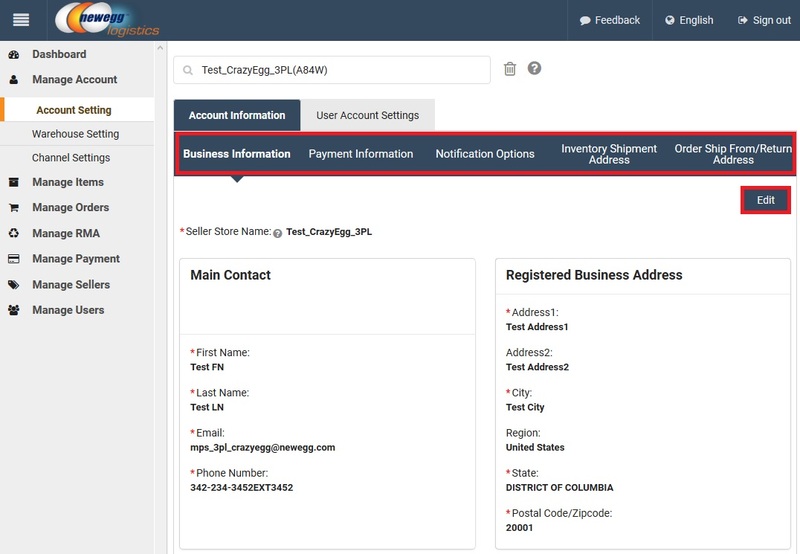 Business Contact & Address, Default Payment, Notification, Inventory Shipment and Order Return Address were recorded based on information provided in Registration process. Please review and make a change by clicking Edit button of each tab if necessary. 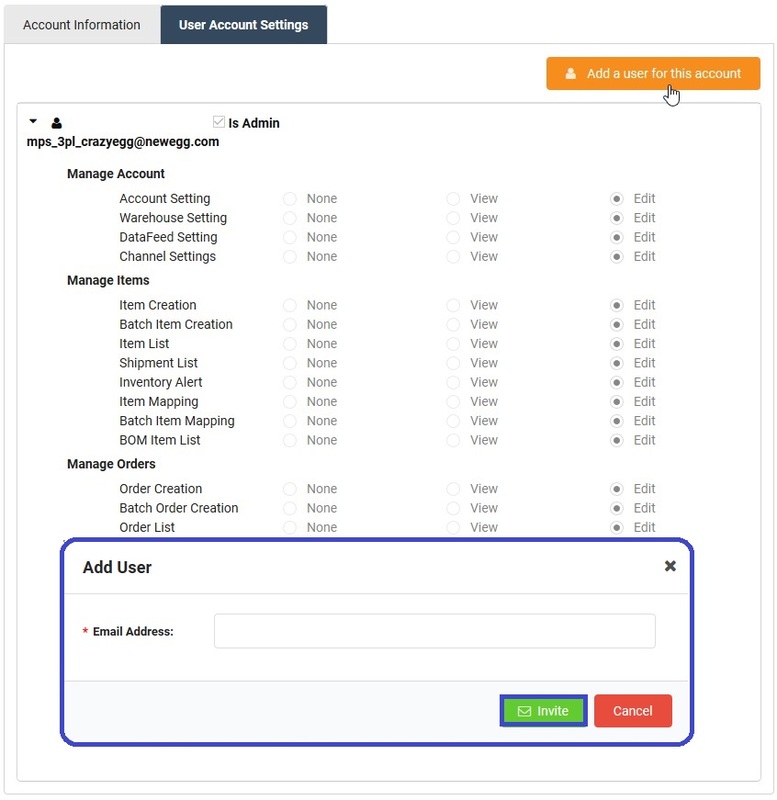 The first user who registered the account becomes the account administrator, who can invite more users to the same account and decide what level of access of each user. Click Add a user button to pop up a separate window, where you can input an email address of a new user. Click Invite button to complete. Once an invitation email sent, you can see that person from User Account Setting (Status = Invited). A user will receive an email about how to create password to login your business account. Once password created, the user account has been activated (Status = Enable). You can click Invite Again to send another email as a reminder. Client can click EDIT button to grant proper function access (view/edit/none) to each individual user. Click Save button to make the change effective. 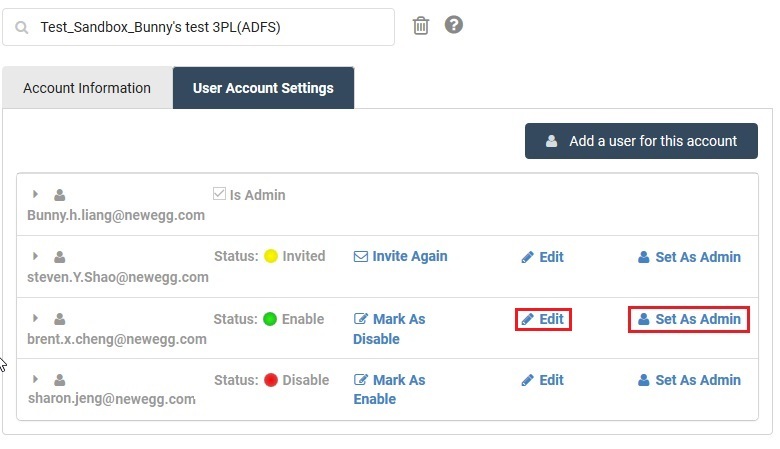 You can disable an existing user account by Mark As Disable. You can also Set As Admin for another user, but you will no longer the admin of this account. Client can choose warehouses of Newegg Logistics for your services. A warehouse must be active on your list so that you can send inventory. Any warehouse which has your inventory cannot be deleted. 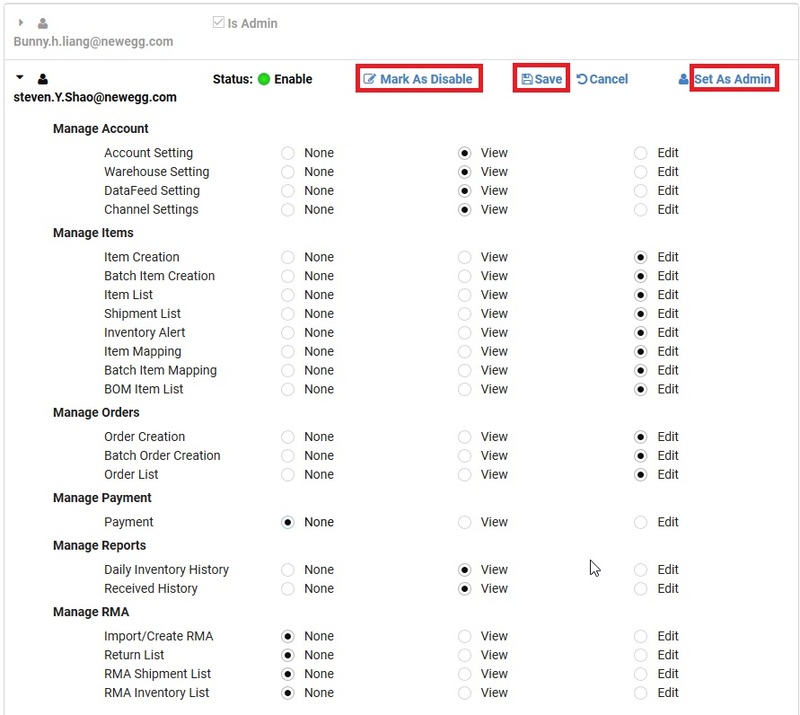 Click Add Warehouse to select warehouse from the available list. Click “X” symbol to delete a warehouse from the active warehouse list.